Belgium or Greece: which country is more expensive? This comparison of travel costs between Greece and Belgium examines average prices across multiple categories. Please visit each country's individual budget page for more detailed information. Should you visit Belgium or Greece? Belgium and Greece are two very different countries in Europe and each has its own unique culture, landscape, and atmosphere. In general, Belgium is a bit more expensive than Greece, but the price differences aren't as significant as you might expect them to be. Belgium is a very small country, so if you're short on time or don't want to travel to a large number of different destinations, then Belgium is a good option. It's also relatively easy to integrate a trip to Belgium in to a trip to other parts of Europe. One great perk about visiting Belgium is that you can pick one base, and explore the country with several day trips. The transportation network is excellent and if you don't want to spend a lot of time packing and unpacking, this is the way to go. Many people overlook Belgium when they're planning their trip to Europe, but the country is a great place to visit with a lot to offer all types of travelers. Greece is a top tourist destination in Europe. It's beautiful islands, interesting towns, and unique history make it a favorite among all types of travelers. Whether you're looking for great museums, a vibrant nightlife scene, or beautiful beaches, Greece will likely not disappoint. Although the cheap prices of years past are long gone, it's still possible to visit Greece without spending too much. There are hostels in the larger cities, and if you get away from the major tourist areas you'll likely find some affordable restaurants. If beaches and blue waters are your thing, then Greece is a great option. When is the best time to visit Belgium and Greece? Like much of Mediterranean Europe, Greece is best visited during the late spring/early summer and fall months. If you plan ahead and have some flexibility, you can avoid the peak season travel costs and the crowds that flood the area during the summer months. Temperatures are also cooler during these times making the experience more enjoyable. Why is Belgium more expensive than Greece? Belgium is a bit more expensive than Greece, but the price differences aren't as significant as you might expect. In general, the cost of living in Greece is cheaper, but it is one of the most touristy countries in Europe and the prices reflect that. Prices can be surprisingly high, particularly in the most touristy areas or on certain islands. Transportation costs in Greece and also more expensive than in Belgium. Traveling between islands can add up, so plan your route in advance and look for the best rates if you want to save some money. 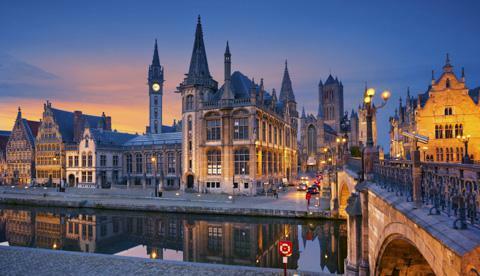 What are the most expensive and cheapest cities and regions in Belgium and Greece? Prices in Belgium are relatively consistent throughout. It's possible to find affordable hostels in most cities and towns, and there are a variety of restaurants with affordable prices as well. Travel times are also quite short within Belgium, so the cost of traveling between locations is reasonable. 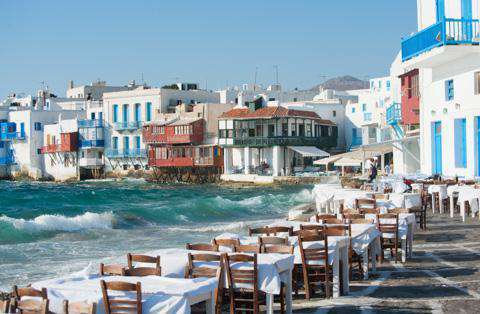 In Greece, popular island destinations like Mykonos and Santorini are usually more expensive than Athens. Hotels and hostels are pricier, as are restaurants. Cruises more frequently visit these islands which can drive up the price of food and shopping. While cruise passengers do visit Athens, the city is quite large, so their impact on pricing is still minimal. Traveling to and from the Greek Isles can also be expensive, increasing the entire price of your trip. How you can save money when visiting Belgium and Greece? Choose when you visit wisely. Particularly in Greece it is best to avoid the peak summer months if you don't want to pay peak prices. Choose just a few places to visit. Traveling between islands in Greece can get expensive so decide what you want to see and narrow it down to make the most of your time there. Spend time walking around the city or town you're in. Take advantage of the area's natural beauty and free activities, so you don't spend too much money on entertainment costs. Stay with a local. It's possible in some places to rent a room in someone's home. This can be a fun and interesting way to experience a country so research your options in advance. Plan a picnic. Restaurants can be pricey so grab some local food at a market or grocery store and find a good place to sit with a view. This is a great way to enjoy local food without spending a fortune.